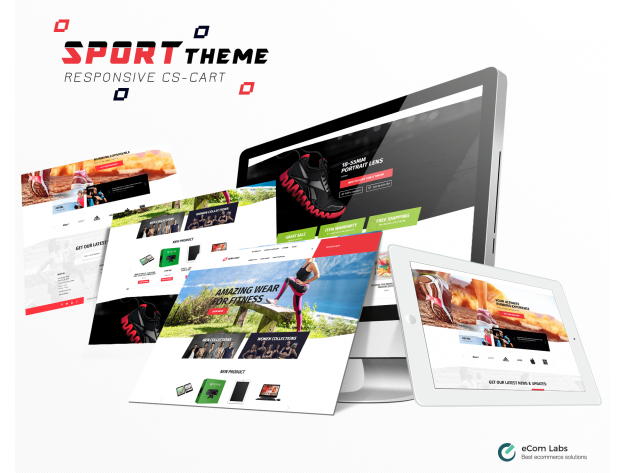 Sport theme is a universal theme. It is suitable for any products. Also, it is perfect for products of the same brand with a consistent stylistics. 1. Block Animations. 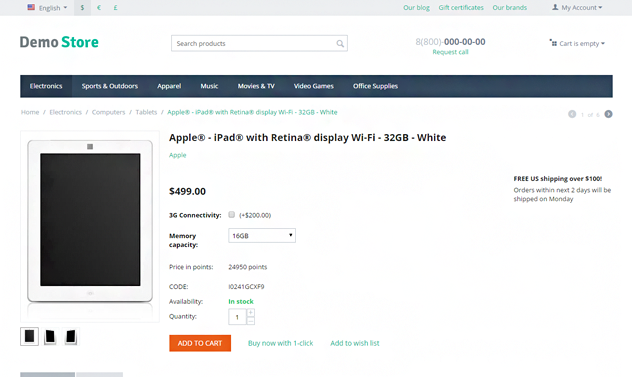 This module allows to add different CSS3 animation effects to blocks in your store. 2. Infinite Scroll. 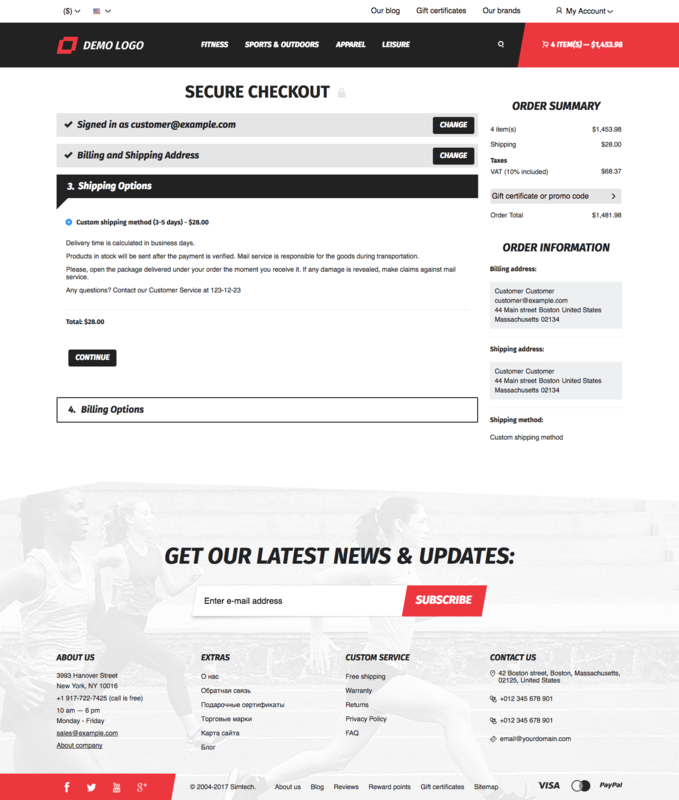 This module allows to automatically load the next page with products after the end of the list without reloading the page. 3. Tabbed Blocks. 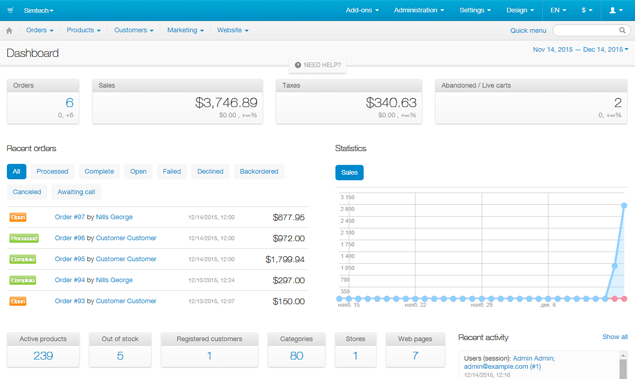 This module allows the store administrators to embed different blocks into one with tabs. 1. 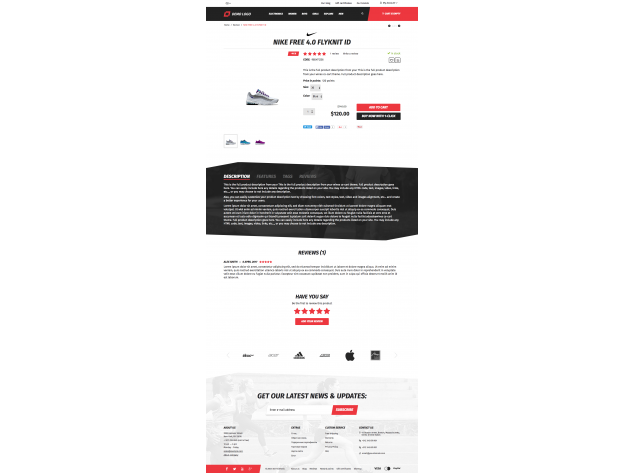 Users will be able to make purchases by mobile devices without inconvenience thanks to the responsive design. 2. Your store will be different from other stores thanks to the unusual design, slanted lines, blocks. 3. You can focus on a specific product using an additional block with the product. 4. 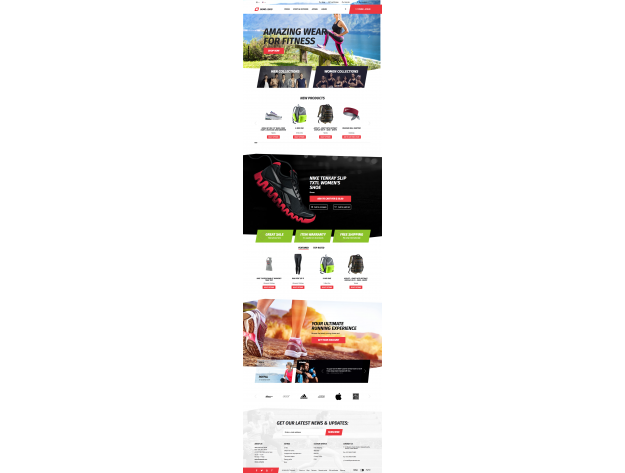 Adaptive banners, stretched to the full width of the screen, make the design of your store more interesting and full. 5. 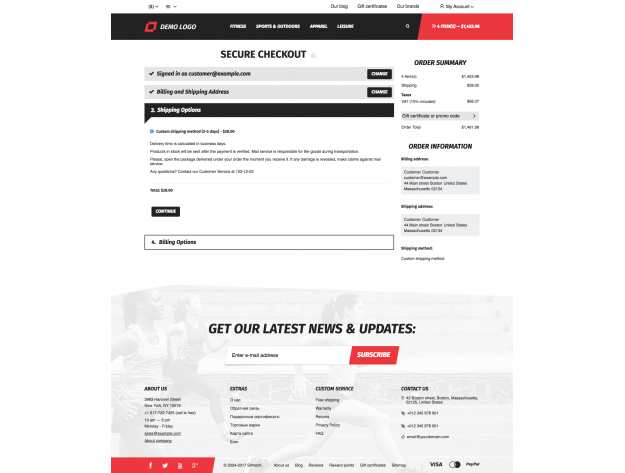 The ability to edit background images for a block with a product, reviews, a blog on the homepage, a footer, tabs on the detailed product page in the admin panel allows you to change the website design without changing the code. 6. An enhanced color scheme allows you to change the color scheme without interacting with the code. We added additional color variables. With them you can change the text color and background for the elements. 7. In the mobile version, filters on the category page are hidden and open when the button is clicked, which allows you not to scroll down the page and save the place. 8. 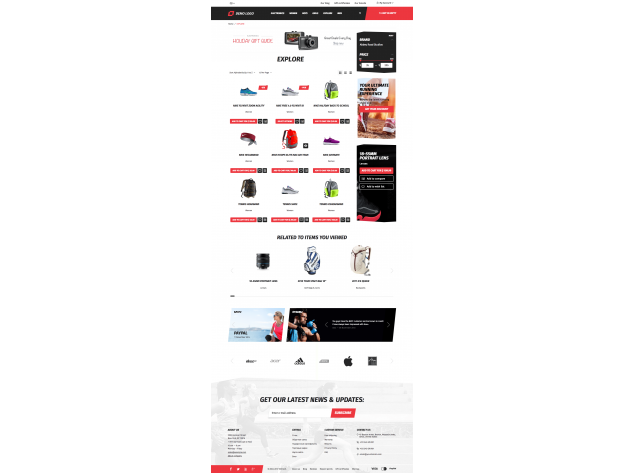 Several types of display of the detailed page of the goods enable to do it more diverse.